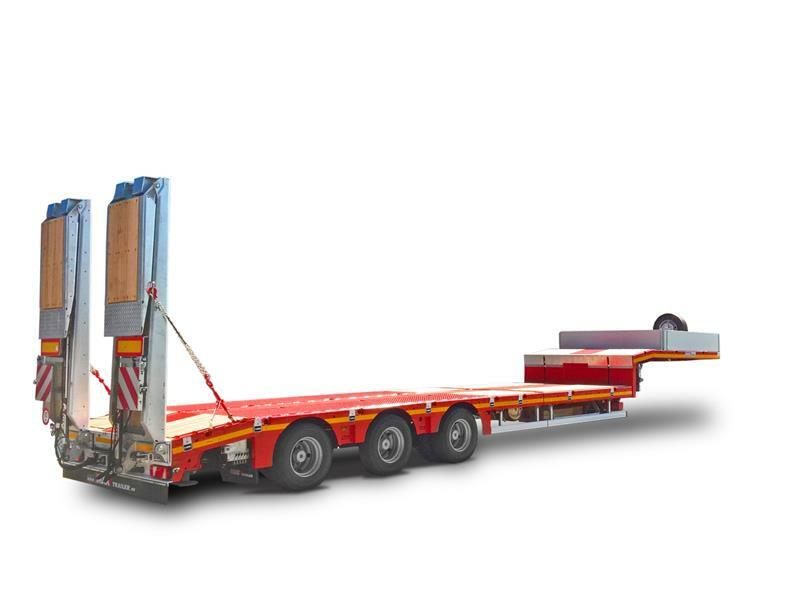 The MAX 110 model is a 2 to 4 axles semi-trailer with knuckle-steering (hydraulic) axles. It’s also available as an extendable version. Max110 is designed to perform special transportation in the industrial, construction and public work domains. Please enter the configuration key and load a previous configuration. There is already a configuration. If you start a new configuration, all your current settings will be lost. Are you sure to want to start a new configuration?